The House of Representatives passed their highway bill by a 363-64 vote, which means that the bill will now move to a House-Senate conference to resolve differences between the two bills. The U.S. Senate had previously passed a bill that would reauthorize the federal highway program for six years, but that only had three years of funding. One amendment that was adopted as part of the highway bill seeks to clarify the intent of Congress and ensure the motor-carrier industry can operate under one standard when engaging in interstate commerce in accordance with the nationally uniform regulations promulgated by the Federal Motor Carrier Safety Administration. The amendment will pre-empt a patchwork of up to 50 different state meal and rest break laws to provide certainty for regional and national carriers doing business. This amendment does not impede on the rights of drivers to take meal and rest breaks. It simply ensures that drivers have the flexibility to take meal and rest breaks as they see fit and as required by federal regulations, not at arbitrarily pre-determined times set by 50 different states. Forcing drivers to exit the road or pull over in unsafe conditions ultimately harms their earning potential and presents an enormous safety risk for other drivers sharing the road. Connecticut Rep. Jim Himes (D-4th district) broke with party lines and voted to support the amendment, which benefits business and interstate commerce. The House rejected a different amendment aimed at allowing states to increase weight limits for trucks. By a vote of 187 to 236, the amendment that would have allowed states to authorize weight limits for trucks to increase to 91,000 pounds, was defeated. 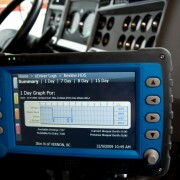 The Federal Motor Carrier Safety Administration (FMCSA) is expected to issue a final rule that will require Electronic Logging Devices (ELDs) on nearly all commercial trucks that operate in interstate commerce in the near future. The rule is expected to allow for two years of lead time from the date of issuance of the rule, so motor carriers subject to the rule will have time to comply. Earlier this week, MTAC staff met with Chris Henry, the head of the Connecticut branch of FMCSA. Mr. Henry has committed to coming to the MTAC office to give an educational presentation on components of the ELD rule and how to comply. This event would be free of charge for members to attend, but would only be open to MTAC members in good standing. MTAC will keep its members posted on the release of the ELD rule, and the date and time of presentation, once that is scheduled. Tolling Update: Following the meeting with FMCSA, MTAC also met with Amy Jackson-Grove, the head of the Connecticut branch of the Federal Highway Administration (FHWA). That meeting featured some discussion about the tolling of existing interstates, and that FHWA is currently studying the potential for congestion price tolling on I-84. Ms. Jackson-Grove is open to meeting again with MTAC staff in conjunction with members to discuss this issue, so MTAC may be contacting members soon to ask for participation in such a meeting. 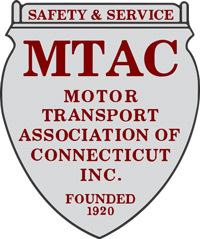 On October 29, 2015, at its 95th annual meeting, the Motor Transport Association of Connecticut (MTAC) elected four new members to serve on the Board of Directors. The new members, who will all serve two year terms, are: Don DeVivo, President, DATTCO; Bob Hill, President, W.B. Hill; Matthew McConnell, CEO, Black Rock Truck Group; Ed Roy, President, Walker Crane & Rigging. Bob Hamilton, Director, Fleet Maintenance, for Bozzuto’s Inc., was reelected to the position of American Trucking Associations (ATA) Vice President for MTAC. The Association will have a new Treasurer for the first time in many years. Norm Bolduc, President, Kay’s Trucking, will serve as Treasurer following many years of dedicated service from Tim Hitchcock of Toce Brother’s. Mr. Hitchcock followed in his father’s footsteps, as he also provided many years of great service as MTAC Treasurer. 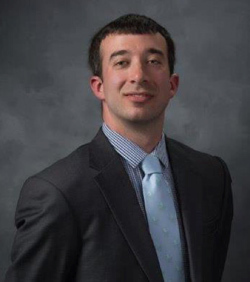 As Mr. Bolduc moves from the position of Secretary to Treasurer, Andy Anastasio, Jr., Anastasio & Sons Trucking Company, will become the MTAC Secretary. The 95th MTAC annual meeting also marked a major milestone, as it serves as the transition point in which Joseph Sculley officially assumed the role of President from Michael Riley, who is retiring after 29 years of exceptional service. Mr. Riley will remain actively involved with the association, and will serve as a consultant who will focus especially on legislative matters moving forward. During the meeting, ATA Chairman Pat Thomas, who is the Senior Vice President, State Government Affairs, for UPS, spoke about the need for Congress to approve a fully-funded highway reauthorization bill, and about the need for the industry to proactively tout its safety record. This was Mr. Thomas’s first public appearance as ATA Chairman, and his time and thoughtfulness in addressing MTAC annual meeting attendees is greatly appreciated. Attendees also received valuable education from Lieutenant Don Bridge about roadside inspections, and pre-trip and post-trip inspections, among other things. Lt. Bridge is Connecticut’s top safety enforcement official, and his attendance and participation at this meeting were greatly appreciated. In a last-minute surprise, State Senate Minority Leader Len Fasano (R-North Haven) spoke to meeting attendees about Connecticut’s own transportation funding initiative. Senator Fasano stated that the state’s special transportation fund must be protected with a constitutional amendment to create a “lock box” so that funds are not used for non-transportation purposes. MTAC very much supports a constitutional amendment to ensure that transportation funds are only spent for transportation purposes, and will work with Senator Fasano and others to push towards that goal. 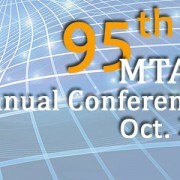 MTAC looks forward to hosting an even bigger and better 96th annual meeting next year. 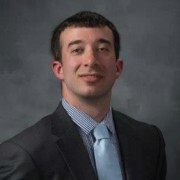 The Motor Transport Association of Connecticut (MTAC) Board of Directors is pleased to announce that Joseph R. Sculley has been hired as the association’s new president. Mr. Sculley comes from the National Truck Renting and Leasing Association, where he has served as director of government relations. In this role, he was a strong and effective advocate on state legislation regarding taxes, fees, and lessor liability issues. He also worked collaboratively with the Federal Motor Carrier Safety Administration on regulatory issues impacting the industry. Mr. Sculley brings a wealth of knowledge and a strong network of contacts from his many years of working for a national association. Mr. Sculley begins working full time on Oct. 29, 2015 and succeeds Michael Riley, who is retiring from the position after 29 years of exceptional service to the trucking industry. Joseph “Joe” Sculley is a trade association executive who has several years of experience advocating for the commercial trucking industry and serving association members. Mr. Sculley has been the Truck Renting and Leasing Association’s (TRALA) director of government relations in Washington, D.C. since his promotion to that position in September 2010. In this role, he is the primary contact staff member for more than 550 member companies who need information on the association’s state legislative and regulatory advocacy efforts, or have general questions about complying with various state taxes. Mr. Sculley has also assisted many member companies to comply with new mandates from federal agencies that have jurisdiction over commercial truck transportation. Before joining TRALA, Mr. Sculley graduated from Wentworth Institute of Technology (WIT) in Boston, Mass., with a Bachelor of Science degree in Management. During his time at WIT, Joe was inducted into the Sigma Beta Delta International Honor Society for Business and Management Students. Joe married his wife Brenna Kehew Sculley in September 2014 in Newport, RI. Motor Transport Association of Connecticut (MTAC) – along with hundreds of its members – and Travel Centers of America (TA) are commemorating National Truck Driver Appreciation Week, a weeklong national recognition of the country’s 3.4 million professional truck drivers. This year’s celebration will be held at the Travel Centers of America Truck facility, 1876 Meriden Waterbury Turnpike, in Southington, on Monday, Sept. 21, from 10 a.m. to 5 p.m. State officials and the media are invited to attend. Members of the media are welcome to join truck drivers from all across the country as they enjoy fellowship and recognition at this event. Topics of interest might include the shortage of safe rest areas for trucks, congestion, caustic road treatments and truck safety enforcement activities. 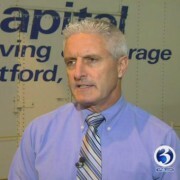 “National Truck Driver Appreciation Week provides us the opportunity to honor the millions of men and women who safely and professionally move freight across this great country each and every day,” said MTAC chairman, Mark Gagnon, of Capitol Moving and Storage, in South Windsor. “We know what a challenging job driving a truck can be, but we also know that trucks move America forward and without safe professional drivers, we just simply couldn’t get that job done,” said Doug Parker, general manager of the TA facility. “Connecticut is particularly dependent on trucks to bring us most of our food, fuel, clothing, raw materials, manufactured products, building material and over 90 percent of the goods we use every day,” he added. 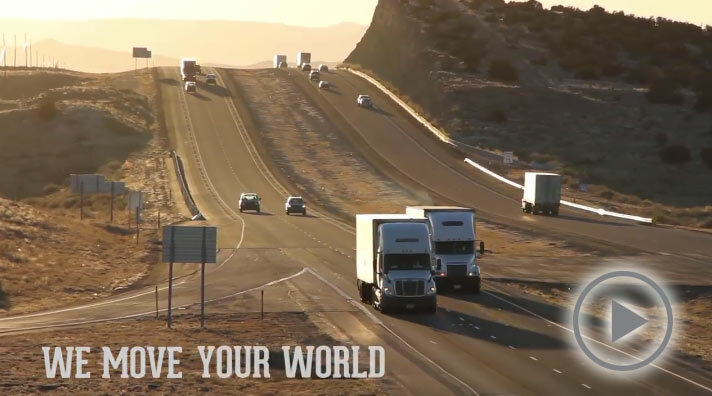 There are over 3.4 million professional truck drivers delivering our everyday needs nationwide. These professional men and women log more than 169 billion miles each year. In 2013, trucking professionals delivered 68.8 percent of the U.S. freight tonnage, equivalent to 9.96 billion tons of freight. 80 percent of U.S. communities depend solely on the trucking industry for the delivery of goods. Professional truck drivers keep America moving forward. 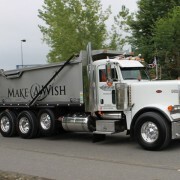 On Sunday, Sept. 13, Make-A-Wish Connecticut Chapter held its 15th Annual Wishes on Wheels Truck Convoy Fundraiser at Rentschler Field in East Hartford. All manner of big trucks were on hand to raise money for this event. Make-A-Wish makes dreams come true granting wishes to children with life threatening illnesses. Steve Roy, MTAC’s director of safety, spotted quite a few member companies who were there to lend their support and be part of the 500 truck convoy. The Alliance for Toll-Free Interstates (ATFI) is working to ensure Congress does not implement a plan to expand the number of tolls on the nation’s interstates. We want to encourage all MTAC members to reach out to members of the U.S. House of Representatives Transportations and Infrastructure Committee and let them know you do not want the committee to take any steps to make tolling existing interstates easier. Here is the full message sent by the ATFI group yesterday. ATFI has learned that the U.S. House Transportation and Infrastructure Committee (T&I), which has jurisdiction over the Interstate Highway System in the House, is considering expanding interstate tolling in its upcoming Highway Reauthorization Bill, likely to be released later this week. You remember that, last June, your emails helped minimize tolling expansion in the Senate’s bill – let’s repeat our success with the House! Please join us in urging the T&I Committee members to protect our existing interstates from the burden of new tolls. Tell the T&I Committee “NO TOLLS” in just 15 seconds. Over the past seventeen years, the Interstate Reconstruction and Rehabilitation Pilot Program (ISRRPP) has served its purpose and demonstrated the unviability of tolling existing interstates. Over the years, six states have pursued tolls via the ISRRPP, and each effort failed due primarily to widespread public outcry over tolling’s negative consequences, which in some cases even triggered state legislative action to protect interstates from tolls. Pilot programs are meant to be temporary. Approaching twenty years in age, the ISRRPP has run its course and should be repealed, not expanded or made more flexible. We all know that tolling existing interstates would have serious negative consequences. Businesses would face higher operating expenses and, where possible, seek to pass on those costs on to consumers. Commuters and travelers would face steep cost increases and hourly employees might have to work an extra hour per day just to pay the toll to and from work. Traffic diversion around tolls onto secondary routes would cause congestion, increased accidents, higher road-wear and repair costs for local governments, and slower first response times. The cost to drive will be dramatically higher. Additionally, our Founding Fathers gave Congress the responsibility to regulate commerce; this now includes funding and maintaining the Interstate Highway System, and passing the buck to states is an abdication of duty and violates the spirit of the U.S. Constitution’s Commerce Clause. It may be politically expedient to frame it as a “states’ rights” issue, but this ignores the safety, equity, and interstate commerce implications. Most importantly, it will not solve the highway funding problem. Please take action by sending an email to Representative Shuster and the House T&I Committee – it only takes 15 seconds and your voice could save the interstate from new tolls. To learn more about AFTI and join the Alliance please visit the website. In addition to joining ATFI you can stay connected by following the Alliance on Twitter at @No2Tolls and on Facebook. https://mtac.us/wp-content/uploads/2015/09/square-atfi-logo.jpg 300 300 MTAC Staff https://mtac.us/wp-content/uploads/2015/04/mtac-logo-012.png MTAC Staff2015-09-10 14:10:342018-11-01 08:29:57Congress considers expanding tolls - Say "No"
During the week of Sept. 6-12, 2015, law enforcement agencies across North America will conduct brake system inspections on large trucks and buses to identify out-of-adjustment brakes and brake-system violations as part of the Commercial Vehicle Safety Alliance Brake Safety Week. Outreach and educational efforts by commercial motor vehicle (CMV) inspectors, participating motor carriers and others in the industry also take place during Brake Safety Week and are integral to the success of the campaign. Properly functioning brake systems are crucial to safe CMV operation. CMV brakes are designed to hold up under tough conditions, but they must be routinely inspected and maintained carefully and consistently so they operate and perform properly throughout the vehicle’s life. Brake Safety Week is an annual outreach and enforcement campaign designed to improve commercial vehicle brake safety throughout North America. Brake inspections conducted during Brake Safety Week include inspection of brake-system components to identify loose or missing parts, air or hydraulic fluid leaks, worn linings, pads, drums or rotors, and other faulty brake-system components. Anti-lock braking system (ABS) malfunction indicator lamps also are checked. Inspectors will inspect brake components and measure pushrod stroke where applicable. 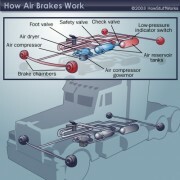 Defective or out-of-adjustment brakes will result in the vehicle being placed out of service. Additional inspections may include some Level I Inspections and, in the 10 jurisdictions currently using performance-based brake testing (PBBT) equipment, overall vehicle braking efficiency will be measured.These systems include a slow speed roller dynamometer that measures total vehicle weight and total brake force from which braking efficiency is determined. The minimum braking efficiency for trucks is 43.5 percent, required by U.S. federal regulation and the CVSA Out-of-Service Criteria. The Annual Brake Safety week is designed to concentrate on the importance of good brake maintenance. During the week, truck inspectors select trucks, for detailed brake inspections, from the millions that pass by them every day. They do not inspect every truck but look at the ones that appear to have some brake issues. Last year, inspectors from participating agencies selected 13,305 vehicles for detailed inspection during 2014 Brake Safety Week. Of those vehicles, 2,162 were placed out of service (OOS) for brake violations. While the out of service rate for those selected and inspected vehicles was 16.2 percent, it in no way implies that that is the OOS rate for all trucks operating in this country. It is actually good news. Of the millions of trucks that operate around this country in a week, trained inspectors found only 2,162 that had serious brakedefects. Since the program’s inception in 1998, more than 3.4 million brakes have been inspected. MTAC is preparing to make our third “Call on Washington” Sept. 29 and 30. Arranged by the American Trucking Association (ATA), Call on Washington provides a rewarding opportunity for MTAC’s members to visit their congressional delegation in the nation’s capitol. 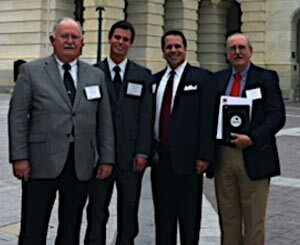 Mike Riley, Mike DeGrand, Mark Giuffré, and Norm Bolduc in Washington, DC. Last year, Norm Bolduc, of Kay’s Trucking, Mark Giuffré, of UPS, and Mike DeGrand of DeGrand & Sons joined MTAC’s Mike Riley visiting the five congressional offices and both United States senators. We met personally with members and their staff, and we received a great reception from our elected officials. ATA does a great job of organizing the meetings. Full briefings on all current issues are provided with staff experts from the National Trade Association. This year, we’ll squeeze in a little socialization, site-seeing, and have a lot of fun. The ATA will help us secure rooms, which will be individually billed. MTAC will pick up dinners. Transportation to and from Washington is up to you. If you are interested in attending, contact us here at MTAC. The tentative schedule is as follows. Briefings at ATA capitol office – 2 p.m. to 4 p.m. Cocktail reception at ATA Capitol Hill office – 5 p.m. to 6 p.m.
Dinner (TBD) – 6 p.m.
Breakfast at ATA Capitol Hill office & follow-up briefings – 8 a.m. 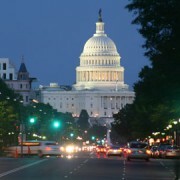 Depart to meet with Connecticut members of Congress – 9:30 a.m. Cocktail reception at ATA Capitol Hill townhouse – 5 p.m.